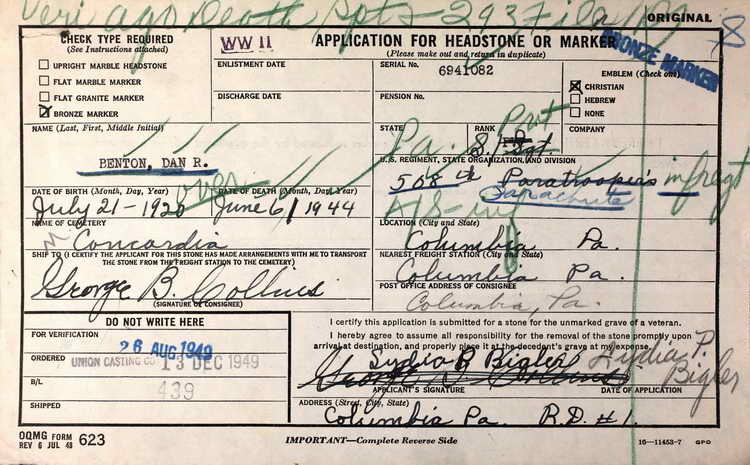 Application for the grave marker for Pvt Dan R. Benton in the Concordia Lutheran Cemetery, Columbia (Lancaster county), Pennsylvania. When the Normandy permanent cemetery was completed, the Benton family elected to have Dan's remains returned. This application for a bronze marker was submitted in January 1949. 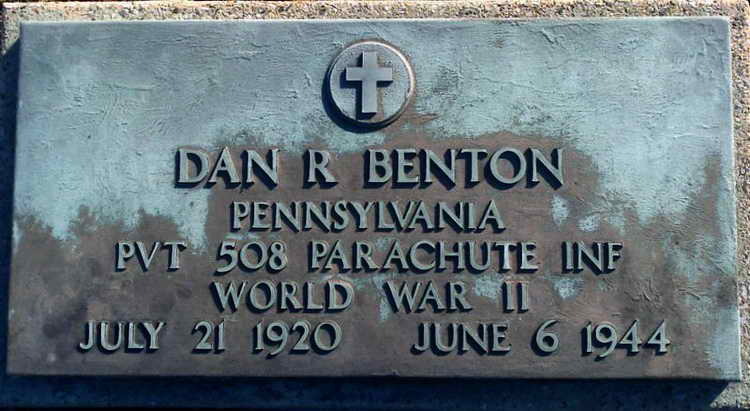 Grave marker for Dan R. Benton in the Concordia Lutheran Cemetery, Columbia (Lancaster county), Pennsylvania. Pvt. Bateman was killed in action on June 15, 1944 and was initially interred in the Blosville Cemetery, Plot A, Row 21, Grave 23. Pvt Benton's military awards include the Purple Heart and the Combat Infantryman Badge.